Update: I was not originally checking to make sure there were any child views before getting the TextView. This has been fixed thanks to @stroughtonsmith. 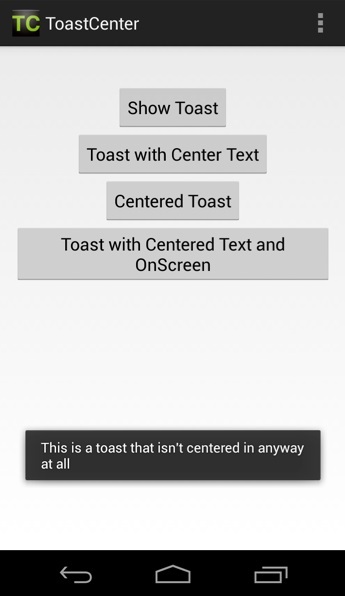 I was recently working on an Android sample where I wanted to display a toast in the app. 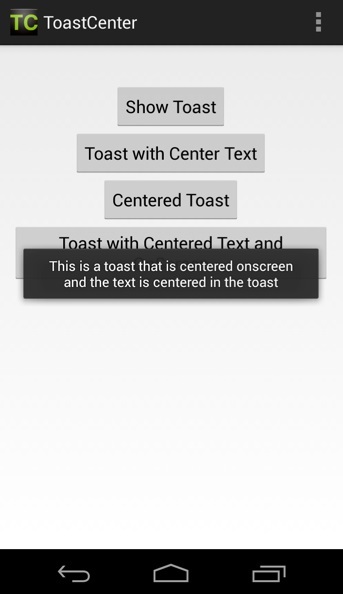 By default, a toast will appear at the bottom of the screen with no special formatting consideration given to the text (i.e. it’s aligned to the left side). This wasn’t really the experience I wanted the user to have. What I wanted was for the text to be centered in the toast. 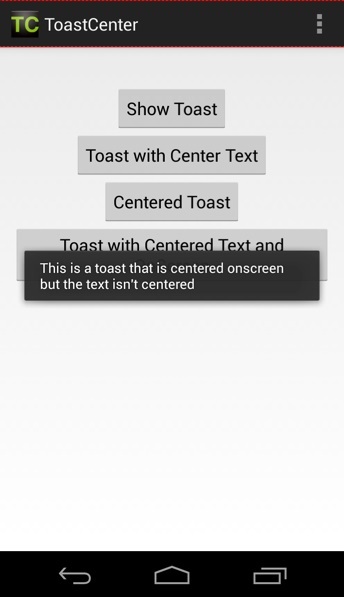 Then I decided I wanted the toast centered on the screen. Thankfully these are all easy tasks to accomplish. 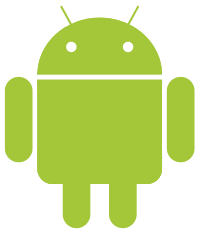 If there was a little less text, this might look fine as it would almost appear centered. Unfortunately, unless we know the exact size of our toast text all the time, it’s pretty likely we’ll run into a situation (like this one) where it doesn’t look good. 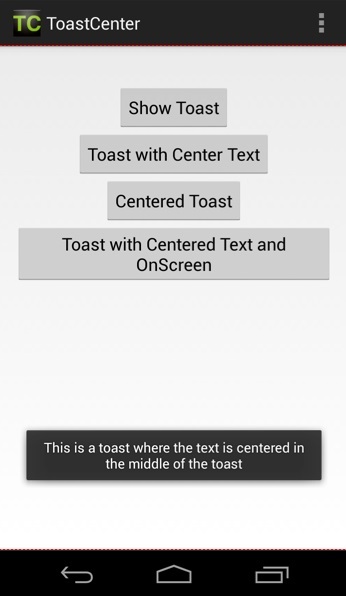 Today we looked at how easy it is to adjust the position of a toast in Android as well as how to adjust the alignment of the text inside of that toast. Using what we’ve demonstrated today, you should be able to figure out how to place your toasts wherever you might want to and in any alignment you need.